This little town, oh she's such a scandal. Nobody gonna get a handle on her. 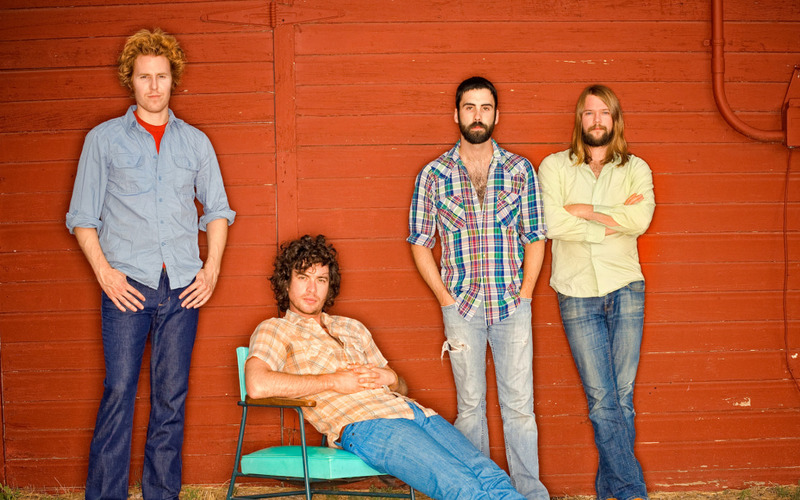 Ha Ha Tonka is an indie southern/roots rock band from Springfield, Missouri named after a state park in the Norhtern Ozarks region of Missouri. Originally called Amsterband, the group formed in 2005, released the album Beatchen, and toured extensively before signing to Bloodshot Records to release their debut album as Ha Ha Tonka, “Buckle in the Bible Belt” in 2007. The band’s second album Novel Sounds of the Nouveau South, explored darker elements and was released in 2009. The group is comprised of Lennon Bone (Drums, Vocals) Brett Anderson (Keyboards, Guitar, Vocals) Brian Roberts (Guitar, Vocals), and Luke Long (Bass, Vocals) who before releasing their third album Death of a Decade in 2011, appeared on the Ozarks episode of No Reservations with Anthony Bourdain. Ask any band how they got their name and the answer usually varies. Sometimes they pick one based on a prime influence, or a phrase that sounds cool. Sometimes it's literal; sometimes it's poetic. But foot-stomping indie-folk quarter Ha Ha Tonka might be the first musical group to literally invoke a national park with their name. Ha Ha Tonka takes their moniker from a park in Camdenton, MO, a popular tourist attraction that boosts yearlong fishing at the base of the Lake of the Ozarks. The band, who hail from nearby Springfield, also happen to sound like their surroundings: they play a spirited, rollicking blend of rock that combines various strains of traditional Americana (bluegrass, country, folk music from the Ozark region) with notes of modern pioneers like R.E.M. and the Old 97’s. Ha Ha Tonka’s music is uptempo and often unbridled, perfect for boozy campfire sing-alongs and cross-country road trips. Led by singer/guitarist Brian Roberts, multi-instrumentalist Brett Anderson, bassist Lucas Long and drummer Lennon Bone, the band formed in 2004 with a mutual love of roots music, and you can hear the devotion and commitment to authenticity in fiery songs like “St. Nick on the Fourth in a Fervor” and “This Is Not a Cure For the Common Cold.” Roberts’ voice is part Jeff Tweedy and part Gospel preacher, able to bend and crack at the whims of each tune. The band’s latest album, Death of a Decade, is full of catchy pop nuggets and old-fashioned instrumentation—the mandolin hasn’t sounded so cool since R.E.M.’s “Losing My Religion.” Songs like “Usual Suspects” and “Lonely Fortunes” feature driving, danceable beats and soaring choruses, but are still simple enough that you can sing them in the car or shower. Even slower songs like “Hide It Well” take advantage of the whole group, with beautiful backing harmonies complementing Roberts’ acoustic lament. It’s joyous, powerful songwriting that makes you want to pick up a guitar and create your own future classics. Ha Ha Tonka might be inspired by an old landmark, but their take on indie-folk is much more than a throwback.